Establish immediate corporate history! 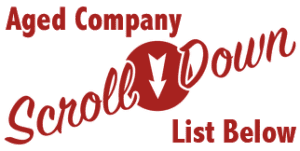 Companies Incorporated has a list of “pre-filed” shelf companies that you can acquire. All entities are in good standing through maintenance, reinstatement or the equivalent. Your company name can be changed for a small fee. All entities are in good standing through maintenance, reinstatement, revival or the equivalent. Your company name can be changed for a small fee. We encourage full disclosure in informing lenders and others that you recently acquired the older entity. Annual renewal fees are due according to government regulations and are the full responsibility of the buyer. Representatives are available Monday through Friday from 5:00 AM to 5:00 PM Pacific Time. Companies listed are on consignment. The companies are in their shell form prior to the issuance of any stock. No stock or securities are being offered. We do not offer a guarantee as to any particular benefit that will be realized by purchasing such a company.